AIU: Aircraft Interface Unit Data Acquisition - SCI Technology, Inc. In today’s cutting-edge aircraft platforms, every byte of data is critical for mission success. That’s why SCI Technology designed the Aircraft Interface Unit (AIU) to be the leader in advanced data-acquisition capabilities. Dynamically configurable to the end user’s unique requirements, the AIU provides drivers and receivers for an array of formats via SCI’s highly flexible and adaptable design. 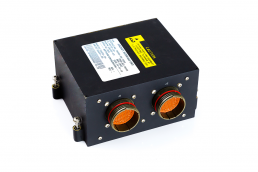 Combining a small form factor with rugged performance, the AIU is ideal for any aircraft system requiring a scalable and/or distributed data-collection network. The AIU is a leader in Size, Weight and Power (SWaP) reductions, taking up just 115 cubic inches, 3.3 pounds and 14 watts. But even with a dramatically reduced form factor, the AIU features all the robust capabilities modern aircrews require for mission success. Typical configurations employ multiple AIUs operating both independently and in parallel as Line Replaceable Units (LRUs) to maximize fault-tolerant collection and distribution of data. Employing SCI’s adaptable System-On-Chip (SOC) architecture, the AIU allows users to configure interfaces over a MIL-STD-1553 data bus in real time, with configuration data stored in non-volatile memory. Current and previous mission histories are also available either in-flight or post-mission for comprehensive analysis. For more than 25 years, SCI has designed, developed and manufactured system processors, data-acquisition devices and Advanced Interference Blanking Units (AIBUs) for rotary-wing, fixed-wing and flight-test aircraft on various military platforms. SCI has provided system and weapons processors for the AH-64D Apache Longbow helicopter since the mid-1990s. In addition, we’ve supplied the AIBU for the F-16 and blanking units for the MH-53 helicopter. With all that experience, SCI can offer every customer an unmatched level of service and support. Receivers for AC and DC analog signals, open/short and voltage discretes, synchro signals, thermocouples and Resistance Temperature Detectors (RTDs). Drivers for DC analog signals, 400 HZ analog references, DC voltage discretes and discrete open/short. Qualification for MIL-STD-810, MIL-STD-461, ADS-37A-PRF, MIL-STD-704 and RTCA/DO-160D.